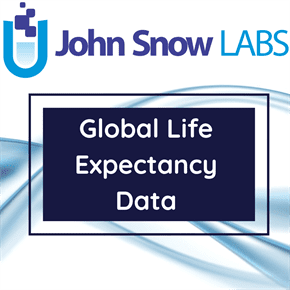 This dataset resulted from the Global Burden of Disease Study 2016 (GBD 2016), coordinated by the Institute for Health Metrics and Evaluation (IHME). This study estimated the burden of diseases, injuries, and risk factors for 195 countries and territories and at the subnational level for a subset of countries. This study was conducted to estimate the burden of cancer over time at the global and national levels measured in incidence, mortality, years lived with disability, years of life lost, and disability-adjusted life-years (DALYs). Results of this systematic analysis showed that in 2016 there were 17.2 million incident cancer cases, 8.9 million deaths, and 213.2 million DALYs due to cancer worldwide. Between 2006 and 2016, incident cases increased by 28%, with the largest increase occurring in the least developed countries. This dataset can be used to achieve the Sustainable Development Goals and the targets set in the World Health Organization Global Action Plan on noncommunicable diseases, cancer control planning, and implementation, as well as strategic investments, are urgently needed. Global Burden of Disease Collaborative Network. Global Burden of Disease Study 2016 (GBD 2016) Cancer Incidence, Mortality, Years of Life Lost, Years Lived with Disability, and Disability-Adjusted Life Years 1990-2016. Seattle, United States Institute for Health Metrics and Evaluation (IHME), 2018.